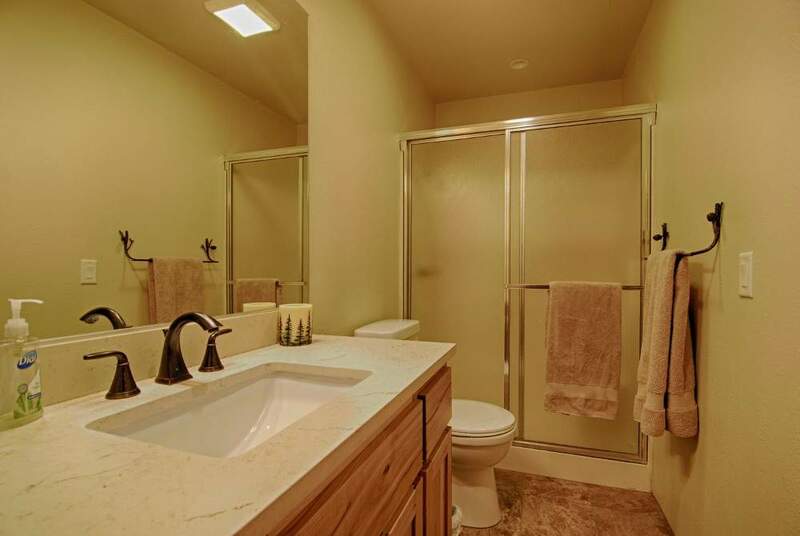 Recently remodeled three bedroom + loft condo in ideally located Kingswood Village. 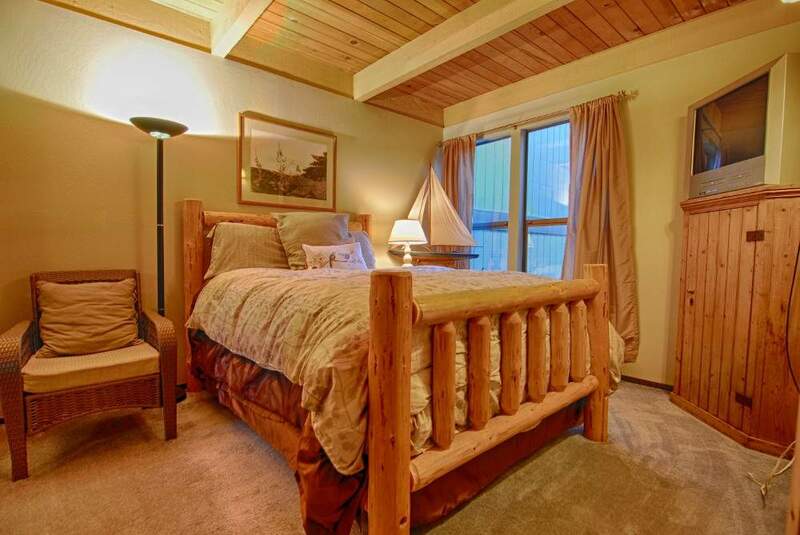 Perfect for your next family vacation, reunion, or just a quick getaway! 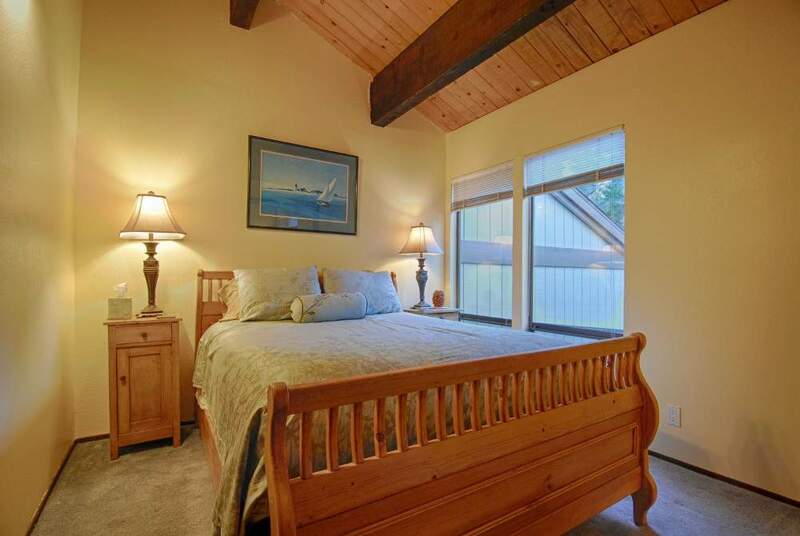 This property features an open living room with hardwood floors, flat screen TV with cable and DVD, wireless internet, gas fireplace, vaulted ceilings and access to a large deck with seating area. 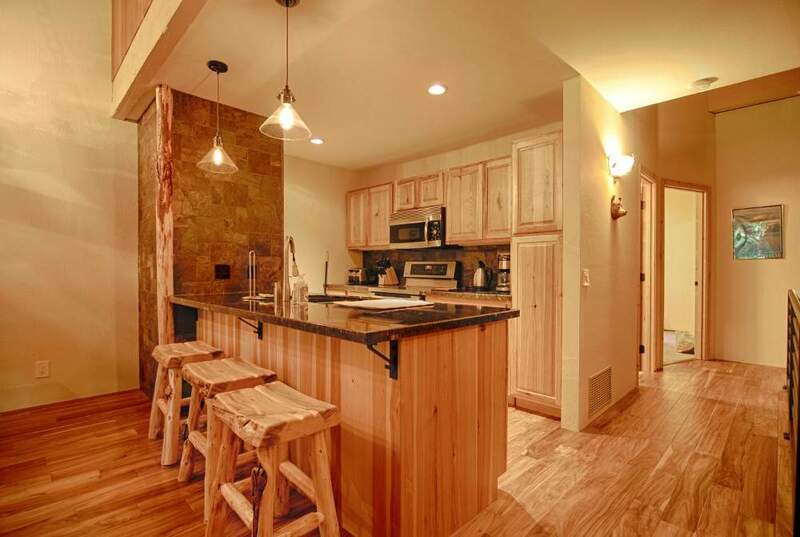 The far side of the living room has a custom dining table for six and an eat-at-bar along the kitchen with seating for another three people. 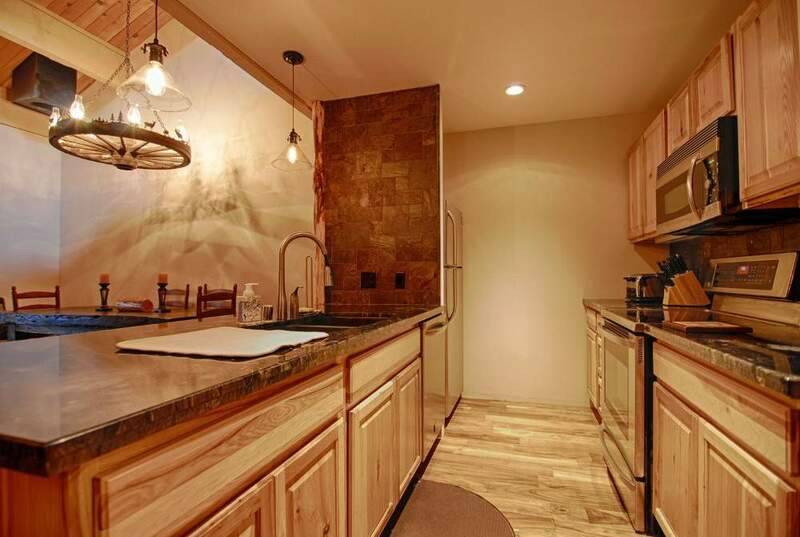 The updated kitchen area has high-end appliances including a smooth surface range, built-in microwave, dishwasher and over-sized refrigerator. 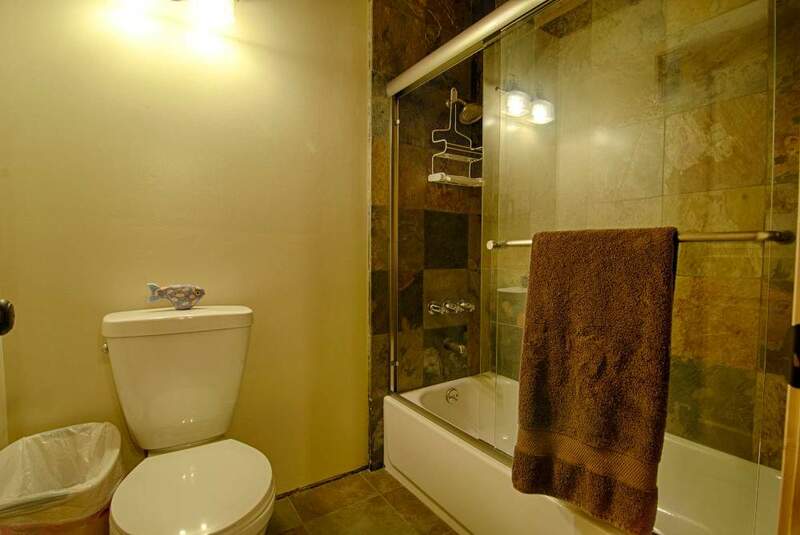 There are two big bedrooms on the ground floor with a full bath and “his & her” sinks, plus separate toilet and shower area. 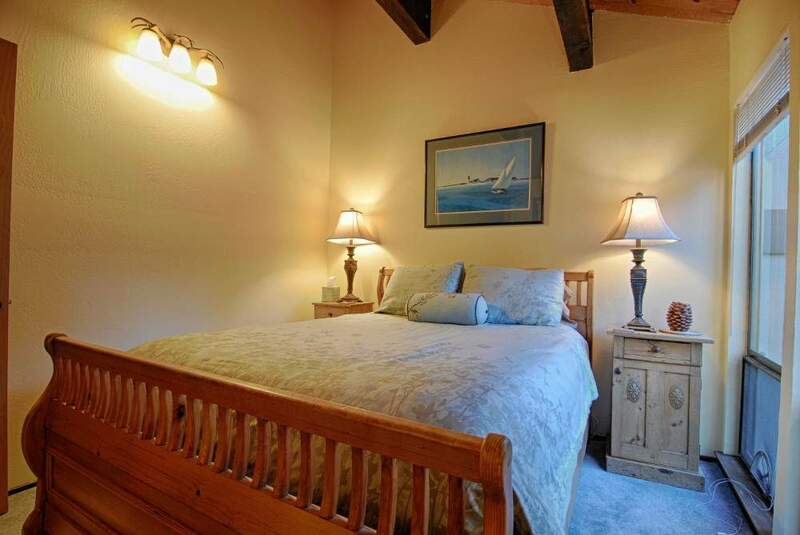 The first bedroom has a comfortable queen bed and a TV with cable. 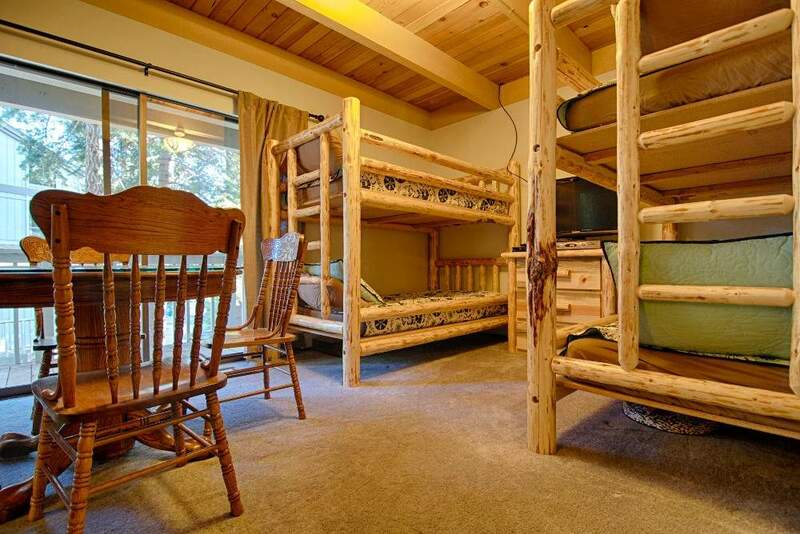 The second bedroom has two sets of knotty pine bunks with four twins in total. 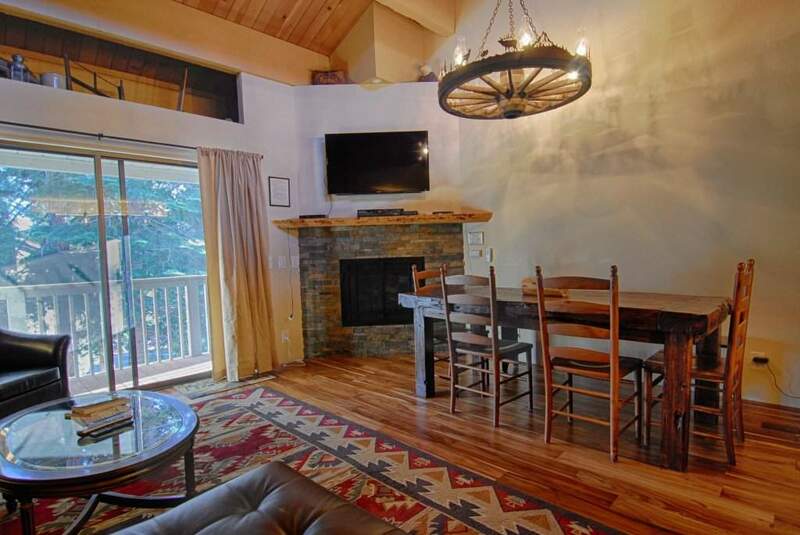 This is an ideal room for the kiddos as it has a card/gaming table as well as a TV with cable and also a DVD player. 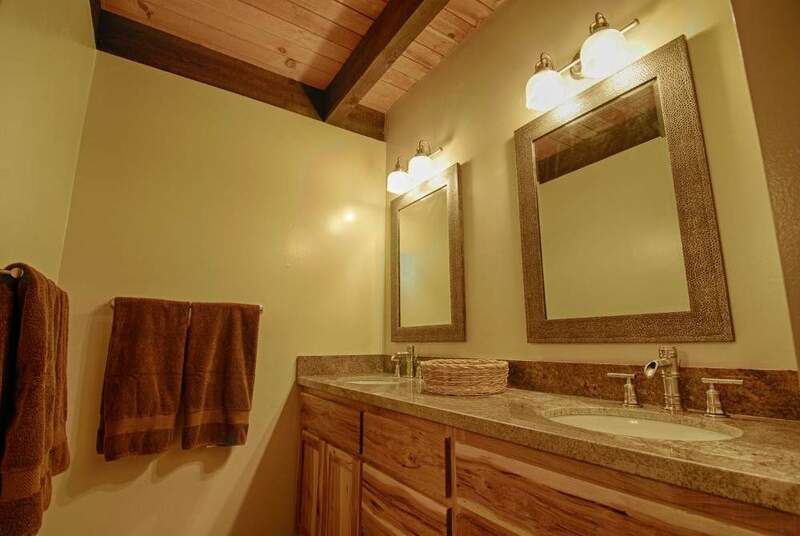 The third bedroom is housed on the second floor near the second full bath. 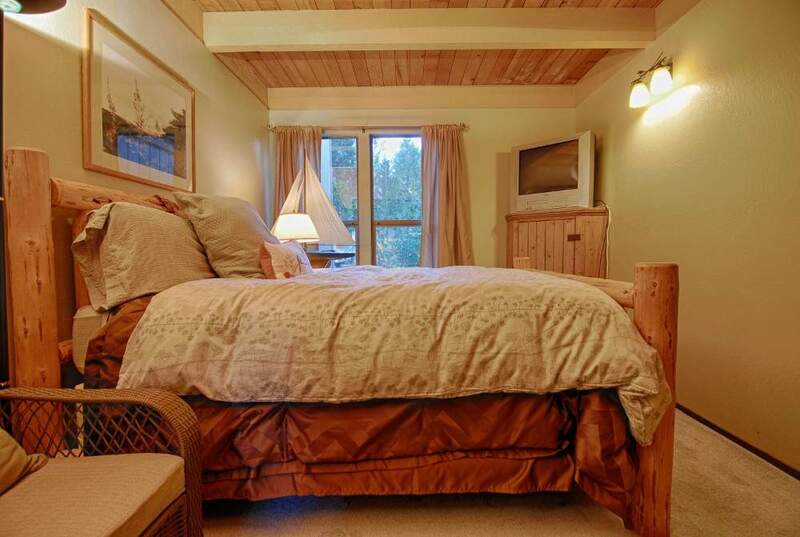 It also has a queen bed and a view of the forest from the large south facing window. The loft area is of course on the top floor and overlooks the living area below. 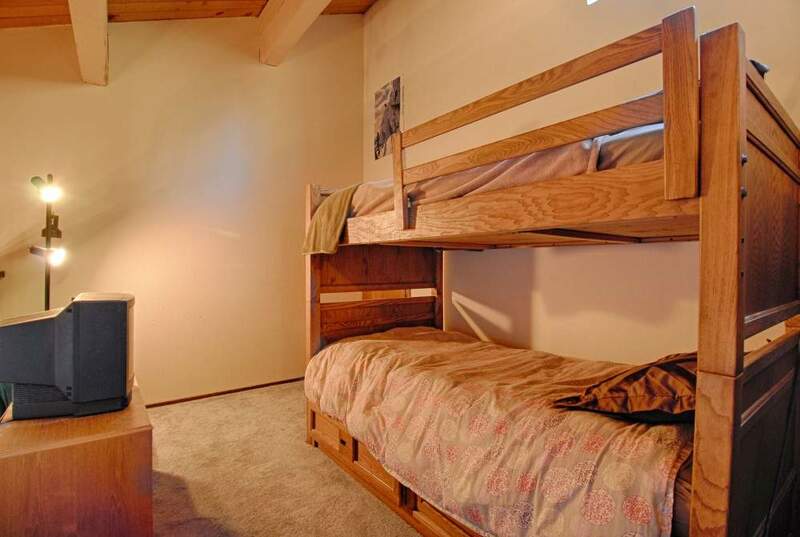 There is another twin bunk bed in the loft for overflow sleeping accommodations. 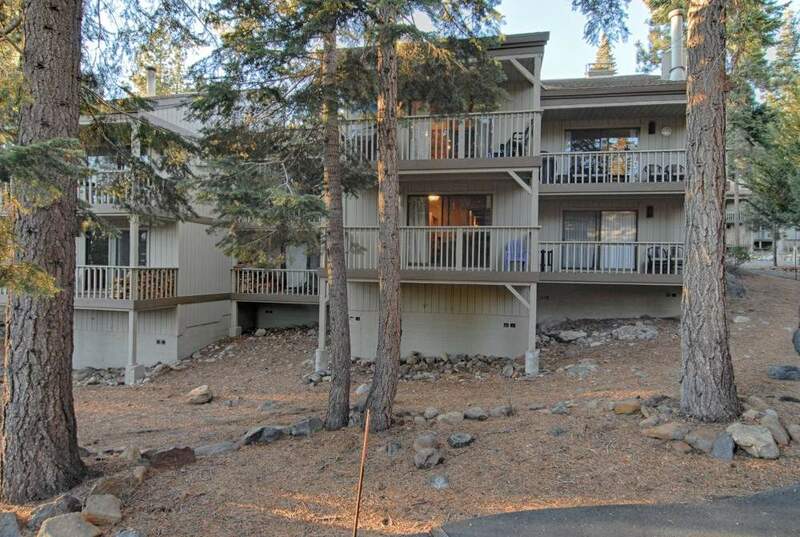 The condo complex is just 5 miles to Northstar ski area & resort which has free winter shuttle. Six other ski areas are within a 15 mile drive. 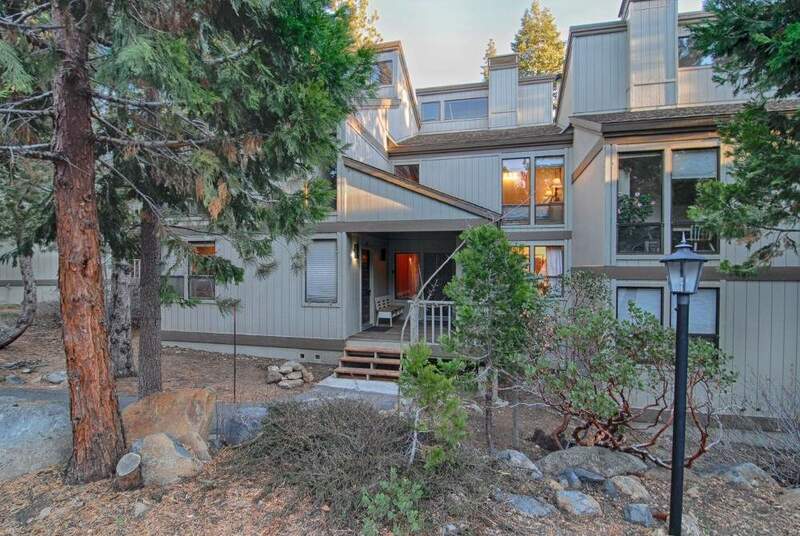 It’s also less than 1 mile to Tahoe Rim Trail and downtown Kings Beach (with golf, fishing, free beach, kayak & jet ski rentals, mountain biking, snowmobiling and restaurants), and less than 2 more to the Nevada state line and Crystal Bay’s Northshore casinos. 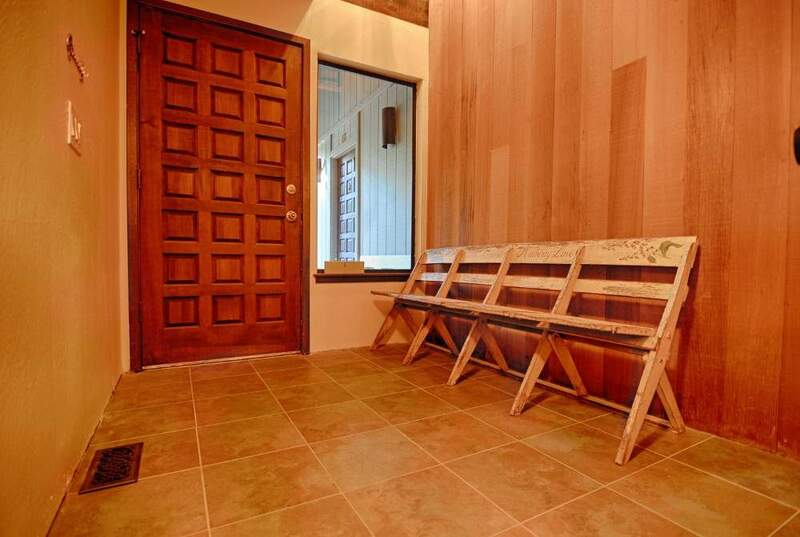 Exercise facility and club house with full kitchen are available year-round, with summer access to community swimming pool, kiddie pool, par course and tennis courts. The place is much better than the picture. Everything is perfect, room is clean, new decoration. Bunk beds are wide. 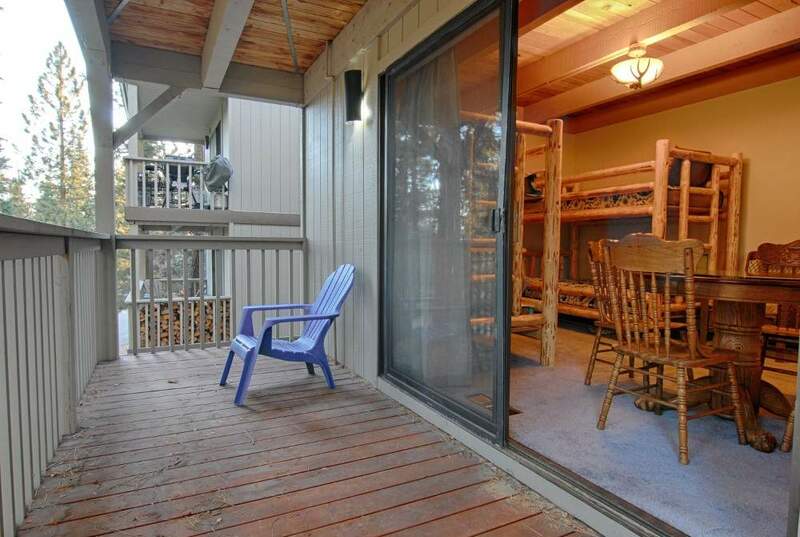 Close to northstar resort, Safeway, ski rentals.